We venture to South Texas today to learn about a preservation project taking place in Corpus Christi. 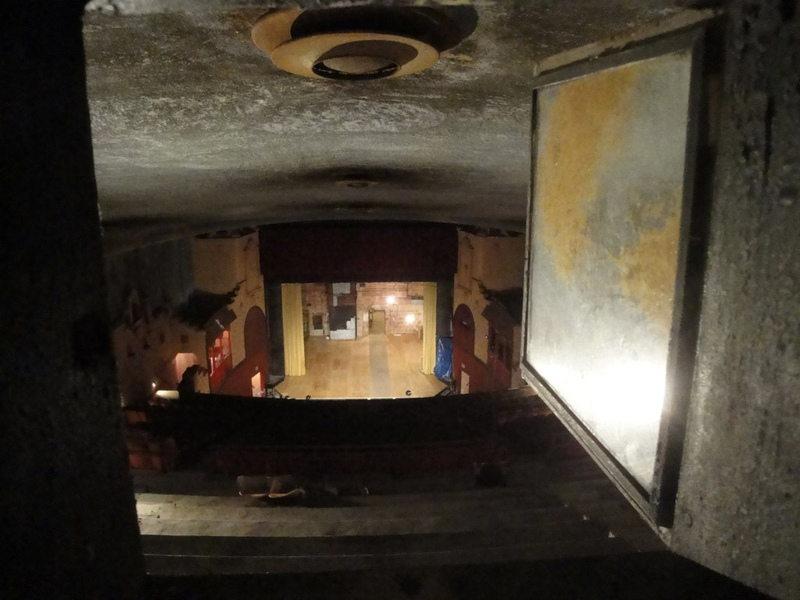 In a downtown area challenged with empty storefronts and crumbling infrastructure, a group of citizens have been busy working to bring the venerable Ritz Theatre — placed by Preservation Texas on the 2012 list of Texas‘ Most Endangered Places — back to life. Last week we received a private tour to learn about their project. 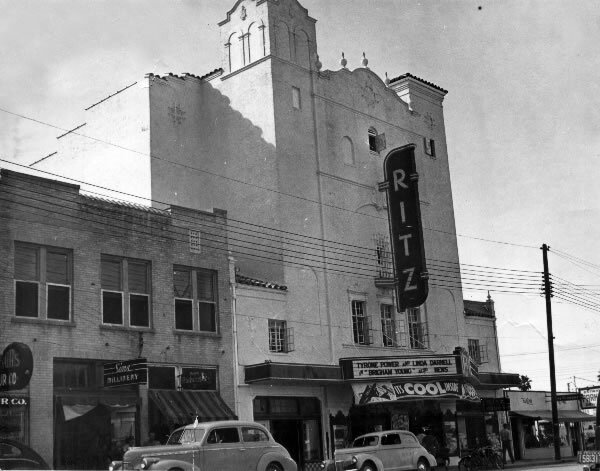 The Ritz Theatre opened in Corpus Christi on Christmas Day 1929, one of the largest and finest entertainment palaces in the state. 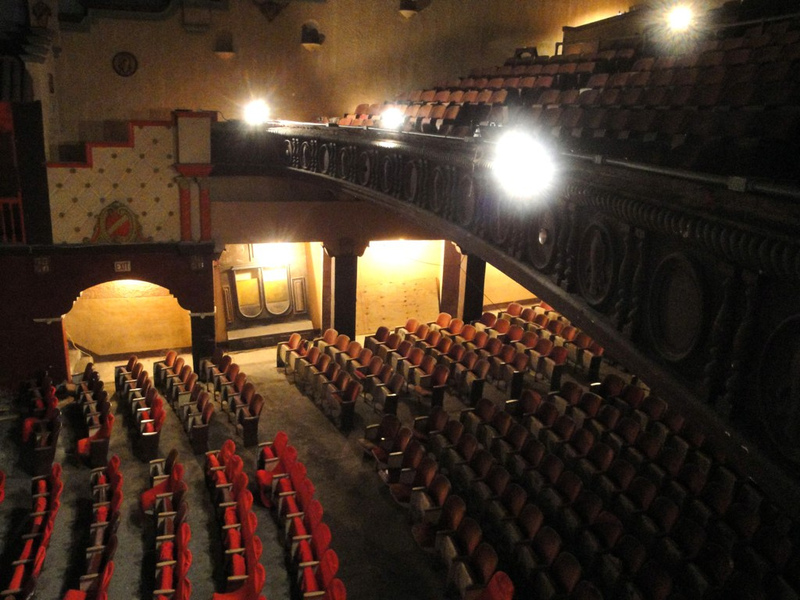 Built by theater pioneer Bruce Collins, the theater was designed for vaudeville and movies by noted architect W. Scott Dunne — who also designed Fair Park’s Band Shell and the Texas, Arcadia, Esquire, Melba and Tower Theatres in Dallas. 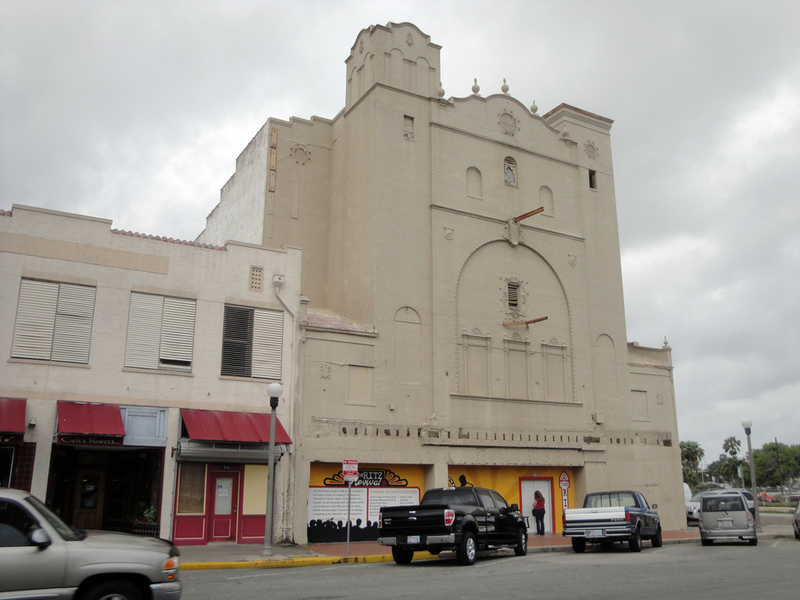 The theatre was clearly Spanish Renaissance in design, featuring an ornate mission-style facade along Chaparral Street (anchoring the city’s main commercial street at the time) and an Art Deco-influenced interior. Before entering the auditorium, movie-goers entered the double-height lobby featured a dramatic entrance with mezzanine balcony overlooking the floor below. The deep 1,300-seat auditorium was decorated in the “atmospheric” style popular at the time, intended to give the illusion of being seated beneath an open sky. A blue painted sky (with moving clouds and twinkling stars) above embellished walls placed theater patrons in an exotic Spanish courtyard. A dramatic proscenium arch framed the performance stage and was flanked by large towers and domes. 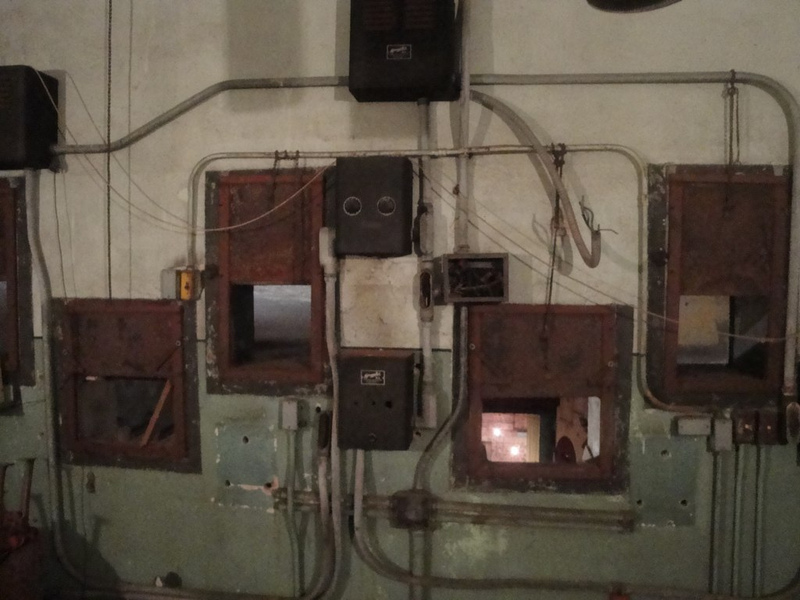 Though space was designated for a theatre organ, it was never installed due to the waning popularity of silent films. The Ritz was part of the Robb and Rowley Circuit (later part of United Artists Theatres), showcasing a mixture of live entertainment and movies. During World War II, well-known bands performed for military personnel and the local community. 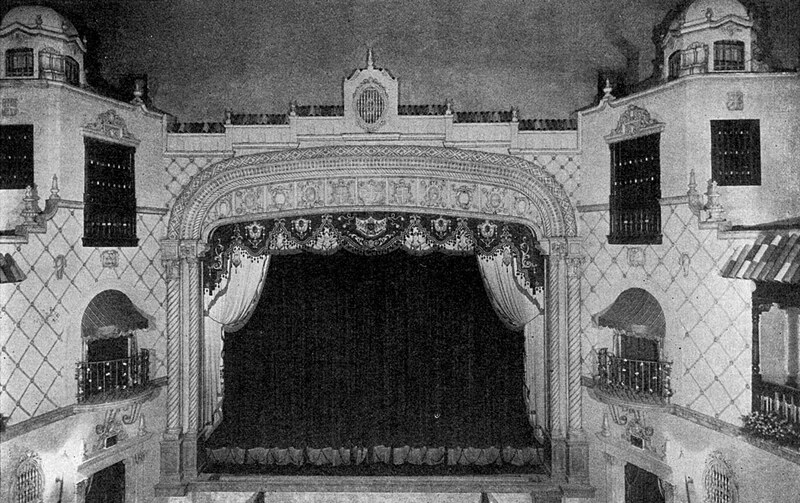 The interior of the theatre changed to match trends, and the proscenium arch was later removed to increase the movie screen size. After movies ended in 1972, the theatre reopened as the Ritz Music Hall in 1974 and Ritz Productions in 1976 — featuring acts from Willie Nelson to Metallica. Amateur theater groups later occupied the Ritz until its final closure in 1989. 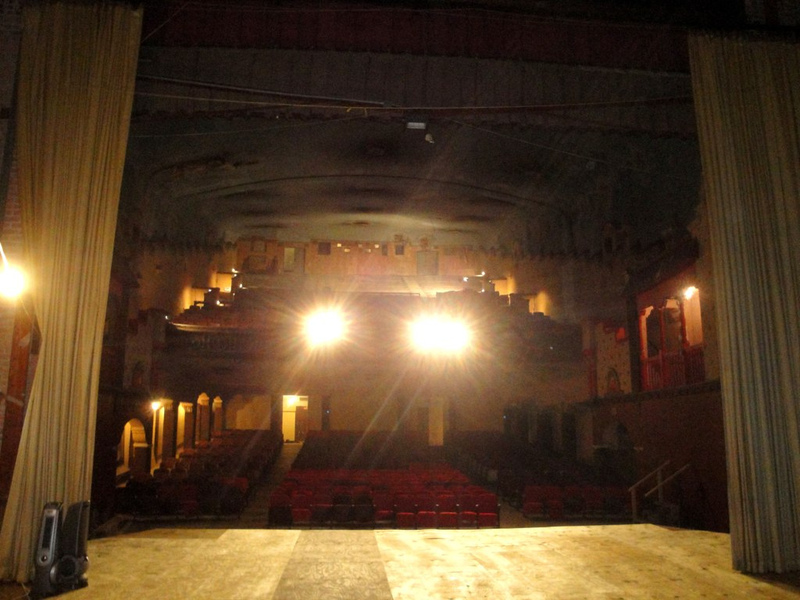 Over the following years unsuccessful attempts were made to restore the theatre, and the surrounding business district saw more abandonment than reinvestment. Sensing an opportunity to refocus attention on Corpus Christi’s cultural treasures, in 2004 two businesswomen founded PATCH — Positive Action Towards Cultural Heritage. Reviving the Ritz, they believed, would inspire the local creative class and kickstart rebirth in the central city. The owner of the Ritz — Dallas resident Robert Rowling (founder of TRT Holdings, the ownership group for Gold’s Gym and Omni Hotels) — agreed to donate the building to a non-profit organization with plans for restoration. The donation was made via a gift deed on December 2010, allowing PATCH to begin the fundraising process and detailed plans. Since that time, large numbers of volunteers have joined committees and local college students have taken an inventory of the building (no blueprints of the building have been found). Public outreach is beginning to have an effect. The building has become a featured stop on the popular First Friday Art Walk that weaves its way through downtown Corpus Christi. Its inclusion on the 2012 list of Texas‘ Most Endangered Places may help expand awareness. 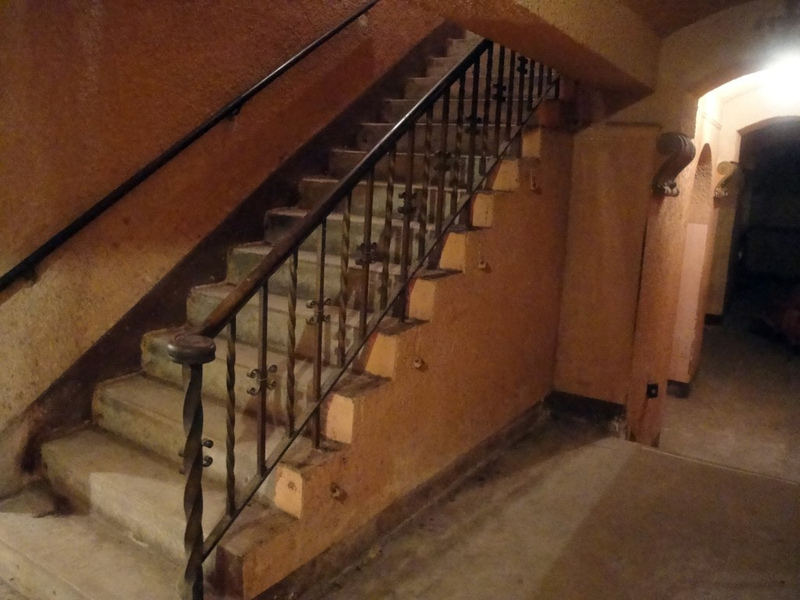 The group hosted several ghost tours to raise money, but those events ended after the ghosts became “too real” and the building required a spiritual cleansing (some say it’s still haunted). Other fundraising efforts have helped save for the estimated $6.5 to 8 million restoration cost (with a goal of $1.5 million raised by the end of 2013). 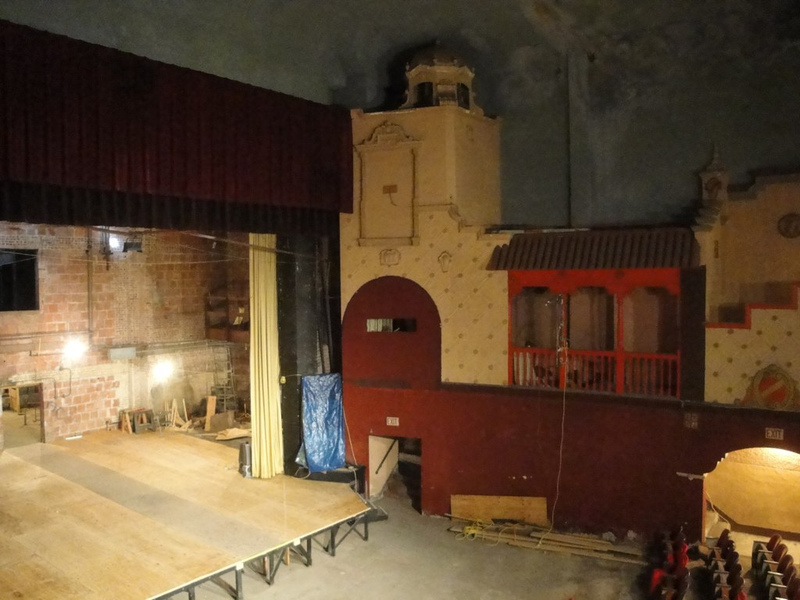 If all is successful, PATCH hopes to have the Ritz Theatre fully restored and open to the public in five years as a mixed-use performing arts center capable of showcasing drama, dance, comedy, music and films. 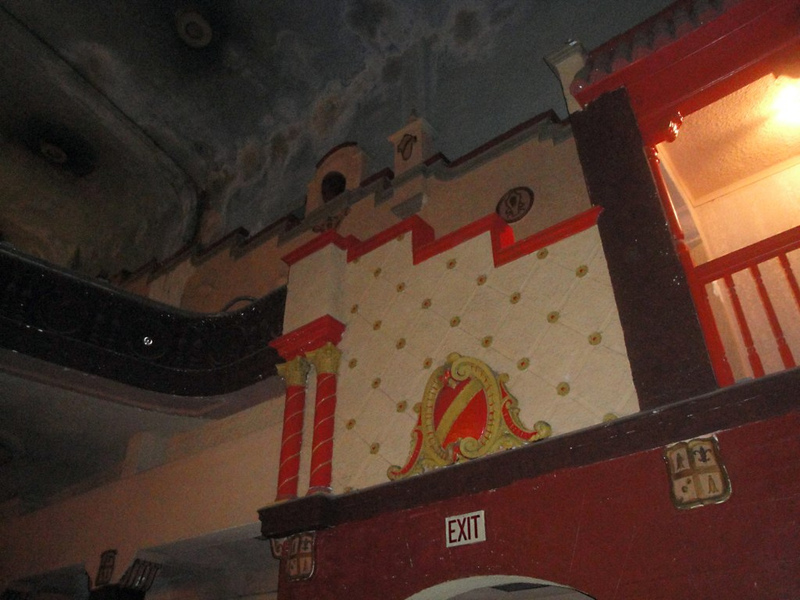 A similar restoration was done to the Plaza Theatre in El Paso (originally designed in the same style by the same architect). In a city where sentiment toward historic preservation is apathetic and major donors are hard to come by, PATCH is reaching out to donors across the country (and those with former connections to the Bay Area). The citizens behind this project need encouragement from other regions as they face local challenges and unfamiliar territory. Corpus Christi is beginning to discover what Dallas has realized only recently: that the success of downtown directly impacts the types of people and businesses that move into the city. There, plans are now in place to encourage residential development, improve the pedestrian experience and reinvest in the area. Hopes are high that restoration of the Ritz Theatre will stimulate additional cultural preservation; perhaps it will also encourage Corpus Christi’s downtrodden commercial area to realize its potential. Want to help? Spread awareness about this exciting project, or view updates/donate on the group’s website. Additional photos from a recent tour can be found here. 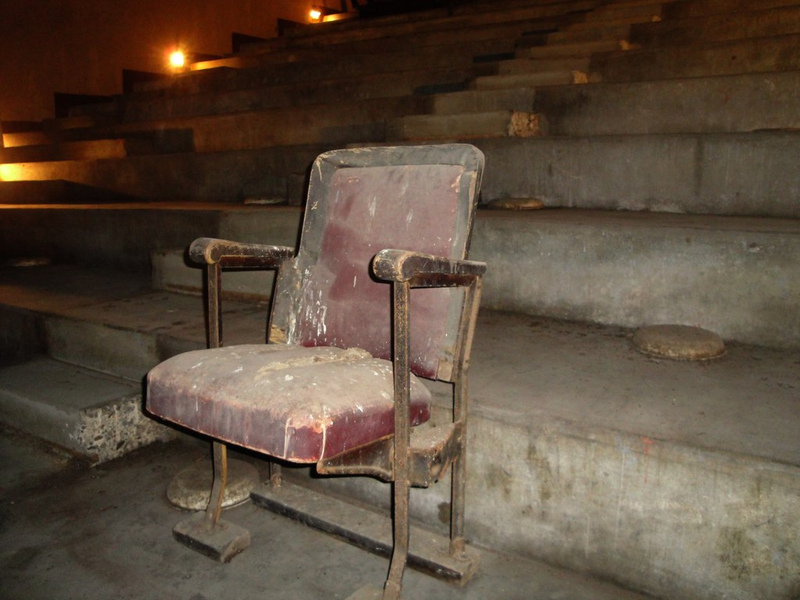 10 Responses to "Ritz Theatre (Corpus Christi, Texas)"
I grew up in Corpus Christi, and I went to see a band there in 1988 or 89, before it closed. I’m happy to see someone taking an interest in such a great historical building. I can understand the challenges PATCH is facing, I lived there for 30 years and to say “sentiment toward historic preservation is apathetic” is an understatement. I don’t see where city leaders or residents would be interested in this kind of historic preservation (which personally I think is VITAL). My hat is off to PATCH and I hope there is great success in restoring this amazing building. Corpus Christi has a habit of ignoring historic buildings and letting them deteriorate to a point where they can not be saved. The AMAZING courthouse is just one example. 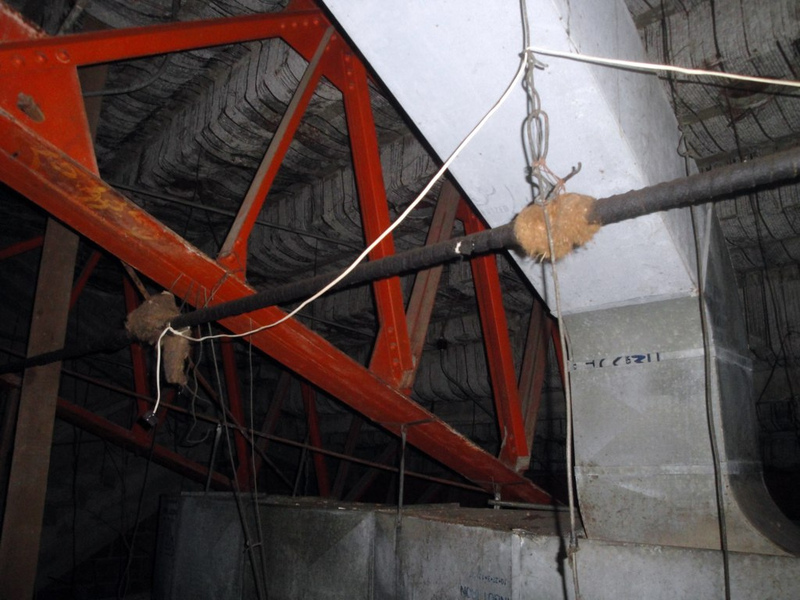 It is protected from demolition until 2027, however it could collapse any day due to neglect. The Lichtenstein Department store downtown is being demolished as well. It would be great if the community would understand how important some of these historic buildings and districts are. Thank you Noah, I enjoyed the trip down memory lane. Agree with your sentiments; PATCH has a lot of work ahead in a challenging environment. The state-wide attention for this project will hopefully convince others to get involved. The Lichtenstein Building is very interesting as well. My grandmother — still living in the area — was shocked on a recent visit to see how much the once-vibrant district had deteriorated. There’s so much potential for the area, but it needs leadership that can think creatively and sustainably. 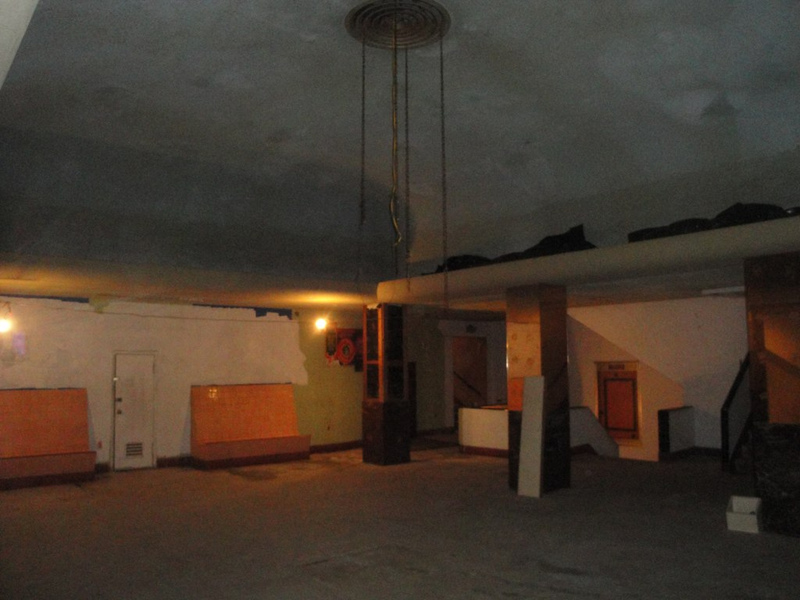 If you’re ever back down for a visit, take a tour of the Ritz to see its progress! I live in Corpus too, is this place still standing? It’s still standing, and in the process of being restored. I am born and raised in Corpus Christi. Unfortunately, i was 3 yrs old when it shut down. So obviously never was able to experience anything in the Ritz. 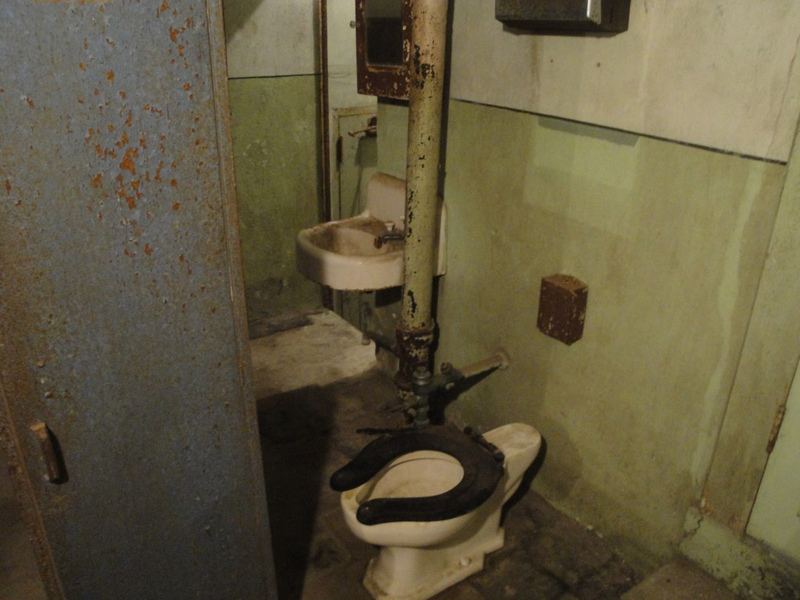 My Husband and I recently had the chance to go in and look around.. It was awesome to say the least. Something my husband and I (both 27) have never seen. It was like we weren’t in Corpus for a moment. I know it will be a long process and alot of effort but really look foward to seeing it back up and running! Holy cow, thank you very much for posting this! It is gonna aid me when I am thinking about going to Movies Corpus Christi TX in Fort Wayne! I am from Clearwater so I am not familiar with Corpus Christi. Next time I visit my family will be so much better! Fantastic! Everyone who commented about the APATHY toward historic buildings and grand architecture in Corpus Christi should know that it ISN’T JUST Corpus Christi, TX: as an Army brat and a person who has had the opportunity to live on three continents (and in five different countries, while traveling through four times as many) should know that MOST OF THE USA expresses apathy toward preservation, architectural AND ecological (preferring malls — indoor or strip — or even a parking lot, over grand old buildings or watershed land). When I lived in Kansas City, I was amazed at how hard people had to work to get the Union Station (a VERY historic, a gorgeous building) restored. That sort of struggle rarely happens in European cities, or even here in Australia. Having once lived in Corpus Christi, it’s nice to know that more value is being placed on some of the older structures. Here’s hoping the shorefront (which was criminally over-developed — a FRESHwater park on the beach?!?) will get some attention and protection soon.